When the summer months heat up, trust in Marsh Heating and Air Conditioning to help you keep your Twin Cities home cool and comfortable. With over 40 years of experience, we have the expertise to help you survive the summer months. Since we started operating in 1974, we’ve learned a few things about keeping our customers in the Twin Cities area cool and satisfied. We hire only the most skilled, experienced and knowledgeable HVAC technicians, and we emphasize that customer satisfaction is the most important goal. We stock the best air conditioning units in the industry, and we train extensively so that we can provide our customers with the best possible service. We understand cooling inside and out, and we can recommend the best units for each of our customers’ unique situations. Whether you’re looking for a complete indoor cooling system or a smaller central air conditioning unit to make the summer months bearable, our professional technicians will make sure that your experience is quick and painless. As a family-owned business, we don’t view our customers as numbers; our customers are our friends and neighbors, and we treat them like they’re one of the family. We offer a wide variety of cooling products and can recommend the right air conditioning system for your home or business. As a Dave Lennox Premier Dealer, we have access to Lennox’s full line of central air conditioners, heat pumps, ductless mini-split systems and more. If you’re looking for the best air conditioner available, consider the Lennox Signature XC21. This unit is one of the quietest and most efficient central air conditioners available today. Alternately, consider one of Lennox’s high-efficiency heat pumps. In the right situation, these sleek units can give you exceptional cooling at a lower energy cost than traditional air conditioners. If you only need cooling in a specific room, one of Lennox’s ductless systems may be right for you. These small systems are quieter, more efficient and more effective than window-mounted air conditioners, and they can help keep you cool through even the harshest heat waves. At Marsh, our expert technicians can help you pick out the right unit for your own situation. With our professional installation, you’ll experience cool, comfortable temperatures faster than you believed possible. 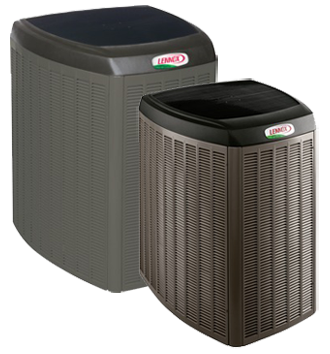 Although a top-rated Lennox dealer, we provide ac repair and service on all brands and models of cooling equipment. Our NATE certified repair technicians are some of the finest in the Minneapolis metro area, as they are trained on all brands and models of air conditioning equipment. Our after-hours service will have a Marsh Heating & Air Conditioning field technician at your home promptly to get your cooling system operating at peak performance as soon as possible. Whether you are in need of ac repair or service, or a new air conditioning system, call Marsh Heating & Air Conditioning for all of your Minneapolis air conditioning needs.